THE JERRY DOUGLAS BAND–led by 14-time Grammy Award-winning and three-time Country Music Association Musician of the Year JERRY DOUGLAS–are set to perform a headlining show at The Troubadour on Monday, November 13 during a stop on their current national U.S. tour in support of the recently released album, WHAT IF (Rounder Records). The band will bring their unique sound that decisively merges jazz inclinations with the bluegrass, country, blues, swing, rock, and soul to the history-drenched venue. Tickets available here. Might you have interest in arranging a show preview or coming our to review? 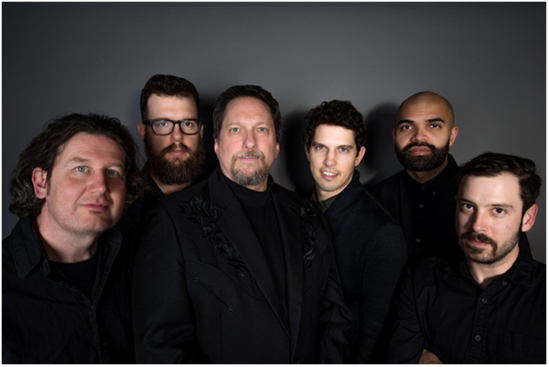 WHAT IF, the debut studio album from THE JERRY DOUGLAS BAND, was released August 11 on a wave of praise (some standout reviews listed below). On the album, THE JERRY DOUGLAS BANDgive “Hey Joe” a genre-bending arrangement, with the song’s video premiered by Rolling Stone.The song–in addition to a funky, soul-drenched arrangement of “2:19,” the Tom Waits’ gem–was performed recently alongside bassist Daniel Kimbro during a live session with Paste Magazine which can be viewedhere. Other WHAT IF standouts, such as the album’s title track and “Battle Stick,” were performed on the streets of New York City for “City Winery Cellar Sessions” which can been seen here.